Alien blobs from space are invading the Earth. It’s up to the Alien Counter Offensive Response Network (ACORN) to stop them from enacting their evil plans. Construct and customise a strike team of giant walking tanks and air drop them into combat. ACORN Tactics was released on Switch 498d ago in the US and the UK. Notify me when ACORN Tactics is available. 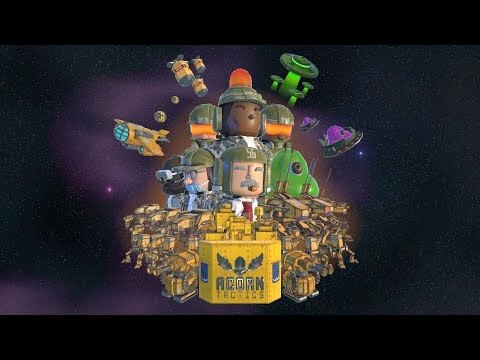 Based on 2 ACORN Tactics reviews, ACORN Tactics gets an average review score of 50. ACORN Tactics has its heart in the right place, but it plays it very safe. Overall, ACORN Tactics was not enough to scratch any sort of itch – tactical or otherwise – and it was more of a frustrating exercise in futility than an enjoyable experience.